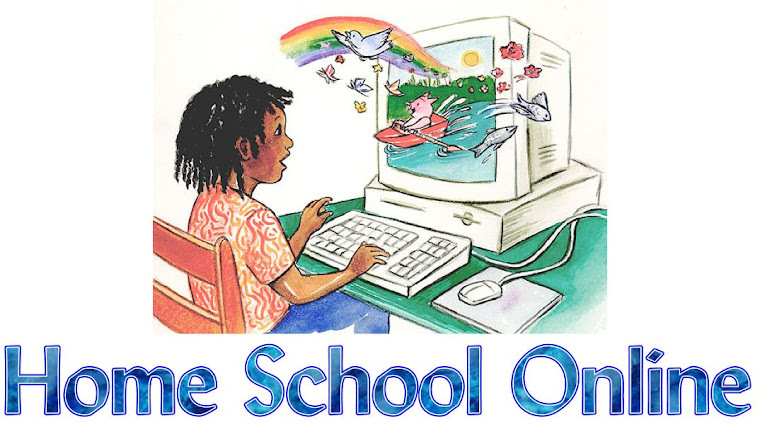 Home School Online: Confused About Homeschool Laws? Surprise! Your local school district is probably not the best source for information about your state's homeschool statutes. Some school districts are in the habit of sending unnecessary information request forms to the homeschooling families on their roles. Before you dutifully fill in the blanks with your personal data, be sure you are required to do so. Homeschooling is legal in all fifty states, but each state determines the amount of regulation their homeschooled students will be subject to. Although it is common for school districts to request additional information, they are not allowed to amend the statutes with their own requirements. In other words, school districts may REQUEST additional information, but they may not REQUIRE it. Schools try to collect additional data for a number of reasons. Sometimes, it's simply a matter of habit. They are accustomed to requiring certain information of all students, and homeschool forms get modeled after similar public school documents. Often, there is a financial incentive. Schools receive funding based on the number of students enrolled, so they may ask questions designed to cast doubt on your status as a homeschooler. In some districts, students who take even a single government funded class, engage in an extra-curricular public school activity, or receive special education services off site can be counted as public schooled students, generating additional revenue for the district. Occasionally, there are ulterior motives. The National Education Association's official position is that, "Home-schooling programs cannot provide the student with a comprehensive education experience." Some school personnel see no reason to disagree with the union's opinion. There are individuals who are particularly interested in reducing homeschool freedoms. They may request test results beyond those that are required, home visits, or even student interviews, in an attempt to obtain data which could be used to discredit homeschooling as a legitimate educational choice. Although my state is not heavily regulated, I admit to a certain amount of indignation in being accountable to the public school system at all. If you trust standardized test scores, my children (and those of homeschoolers as a group) are way ahead of the game academically. It isn't logical for an institution that is admittedly broken to be overseeing a group of people who have proven that they can obtain superior results. My own state requires one-time notification of the intent to homeschool each student. Parents are not required to use the school district's form, although many do so for their own convenience. It's important to note that you may, if you wish, provide notification on any paper. I would never advise anyone to refuse the district's form simply to be contrary, but some families have specific reasons for avoiding the district-printed forms and it's important to know that you have the right to simply provide a letter or note, stating your intention. My state specifies that parents must provide each homeschooled student's name and date of birth. Our district's form also includes a space for the student's social security number. Since I am not legally obligated to divulge this number, I merely leave the space blank, without comment. An acquaintance shared that she wrote "REFUSED!!!" in the blank, along with several exclamation points. My own feeling is that it's best to be calm and matter-of-fact in assuring that our rights are upheld. There's no need to invite confrontation. Our state also requires standardized test results at the end of third grade, fifth grade, eighth grade, and tenth grade. I was surprised to learn there are parents in our homeschool co-op who assume annual test results are a requirement. If you wish to test your children annually for your own information or peace of mind, please do. It's probably not a good idea to provide the results to the school district unless you are legally obligated to. State requirements regarding homeschooling vary greatly. A few states do not regulate homeschooling at all. Several require nothing more than for parents to state their intention. Many require periodic testing of homeschooled students, several require a portfolio evaluation or include it as an alternative to testing, and a few outline qualifications for the primary teacher. Most at least include suggestions or mandates as to subjects to be covered and amount of time to be spent. If your state requires a certain number of hours, remember that book learnin' is only PART of your student's education. Piano lessons and practice can be counted as "Music", Little League is "P.E. ", helping fix dinner is "Home Ec", and writing a thank you letter to Grandma is "Language Arts". You are not cheating when you do this! Schools put a lot of effort into incorporating real-life simulations into their curriculum . . . something you can effortlessly do at home! Your state may require that certain records be MAINTAINED, but, before you send them in to the district office, be sure they also require you to SUBMIT the records. Some states only want you to have them on hand in case there are questions, and you are not obligated to share them under normal circumstances. If you receive requests for additional information or intrusive oversight, ask questions and confirm the answers you receive with several sources. Even well-meaning school employees are often mistaken in their assumptions when it comes to the laws concerning home education. If you have state specific questions or are looking to connect with other homeschool families in your area, you might be interested in visiting the homeschooling parent support group forum for your state. What experiences have you had with your state's homeschool laws?